Myths can take flight when hatched from ignorance. For instance, fuzzy shadows and doctored photos can perpetuate the lore that a hairy giant roams the Pacific Northwest. However, where’s Bigfoot when you need someone to paint those high ceiling areas? Nick Slavik certainly understands myths. He spends quite a bit of time speaking to his peers about misconceptions in the paint industry. As the host of Ask a Painter! Live, a weekly live Facebook broadcast, and the owner of Nick Slavik Painting & Restoration Co., in New Prague, MN, he knows there’s a school of thought among pros that more is better when it comes to paint thickness. 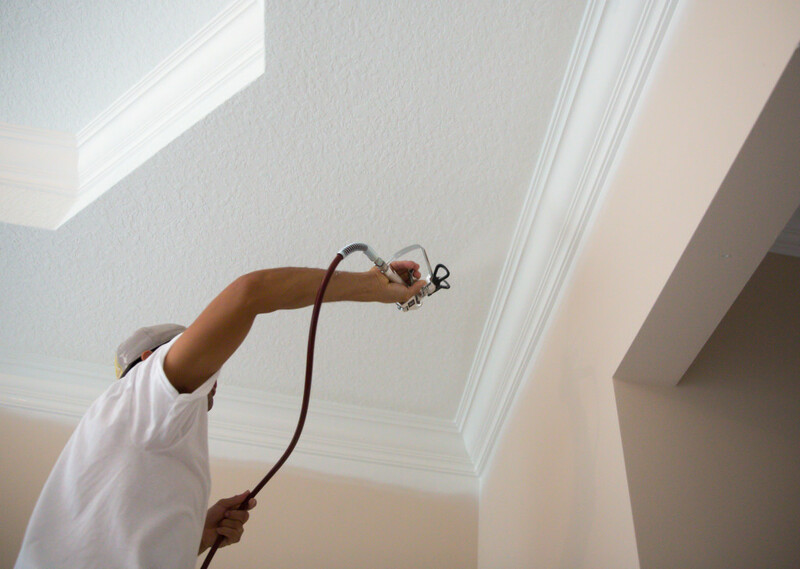 Paint thickness, or more accurately, dry mil thickness, is one of the most important factors in any paint project. And it’s probably one of the most misunderstood. Bob Cusumano agrees. Cusumano has more than 30 years of experience working in the coatings industry. As president of Coatings Consultants, Inc., a FL-based consulting firm that analyzes paint failures, he has seen his share of mistakes when it comes to paint thickness. John Calderaio, exterior exposure station manager for Dow Chemical Co., says there are several other misconceptions about paint thickness. “I think painters think that if it ‘looks’ OK, the paint is thick enough,” Calderaio said. “They are considering only hiding. … And another is that the natural spread rate is fine. For interiors, film thickness is not as critical as for exterior.” Improper thickness can also translate to problems in kitchens and bathrooms, he added. “You’ll have poor scrub and more mildew issues in these rooms with too thin a film. But with exterior applications, you want to protect your biggest asset,” he also noted.